The Promise of Eternal Life or Everlasting Life (the word for both is the same in scripture) is for those who believe on and in the name of the Son of God, who is Jesus. Jesus is the Way,Truth,Life and no one comes to the Father except through Him. I Believe that Jesus is Your Only Son. I Believe Jesus came to save His people from their sins. I Believe that Jesus is the resurrection and the life. I Believe in my heart that You, God, raised Jesus from the dead. I believe in and on Jesus for Eternal life. I believe that Jesus is now seated on Your right hand in heaven, God, interceding for me. 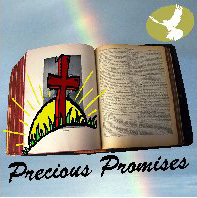 I do Believe and I claim this Promise of Eternal Life today!Thank You for this wonderful gift of eternal life God!